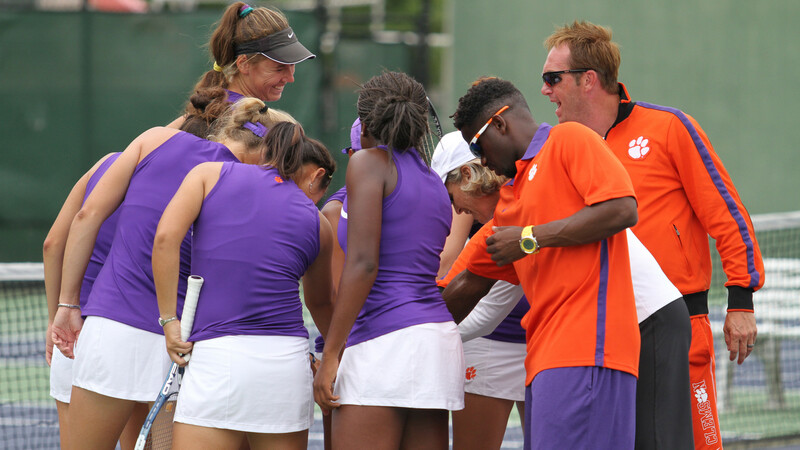 The Clemson women’s tennis team finished the season ranked 13th in the nation by the Intercollegiate Tennis Association. The Tigers finished the year 16-8, and advanced to the NCAA Round of 16. It is the 11th straight season that the women’s tennis program finished among the top-25 teams in the nation. Overall, the women’s tennis program has finished among the top-25 in the nation 27 times in 38 seasons. Additionally, the program has finished inside the top-15 in eight of the last ten seasons, and 15 times all-time. Head Coach Nancy Harris, the 2013 ITA Carolina Region Coach-of-the-Year, guided her team of freshmen and sophomores to six wins over top-25 teams, and at least one win in the NCAA Tournament for the 12th straight year. They played one of the most difficult schedules in the nation, facing off with 12 of the other 24 top-25 teams for a total of 14 matches (FSU and UGA twice). The Tigers played five top-ten teams in No. 1 Stanford, No. 2 Florida, No. 4 North Carolina, No. 5 Georgia and No. 8 Miami. The Tigers claimed wins over No. 14 Duke, No. 15 Virginia, No. 19 Vanderbilt, No. 20 Baylor, No. 21 Georgia Tech, and No. 24 Florida State. Final singles and doubles rankings will be available on June 5. Yana Koroleva has already earned All-America honors based on her seeding for the NCAA Singles Championships, and her run to the quarterfinals.